My buddy and I came across the Winchester 12-gauge Supreme Elite PDX1 ammo while checking out a gun store a couple of weeks ago. 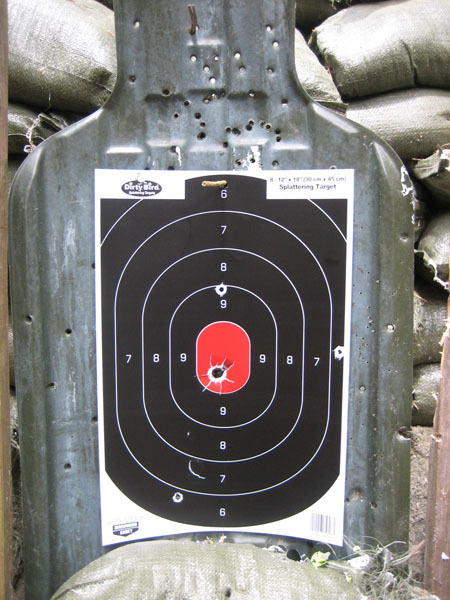 We were impressed by the idea of a slug and 3 00 buck shot combo for home defense. The slick packaging and black shell casing definitely didn’t hurt either. The ammo cost about $12 a box with tax. At that price it’s not something that I’m going to shoot on a regular basis but I had to try it out to see if it was worth its salt. 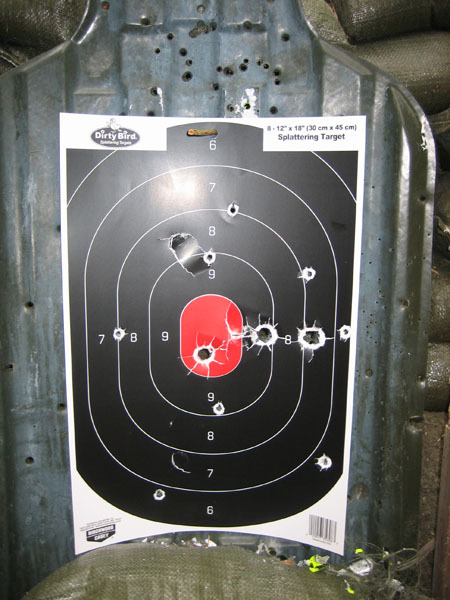 I loaded up three rounds in my Remington 870 and fired three rounds at 15 yards / meters. 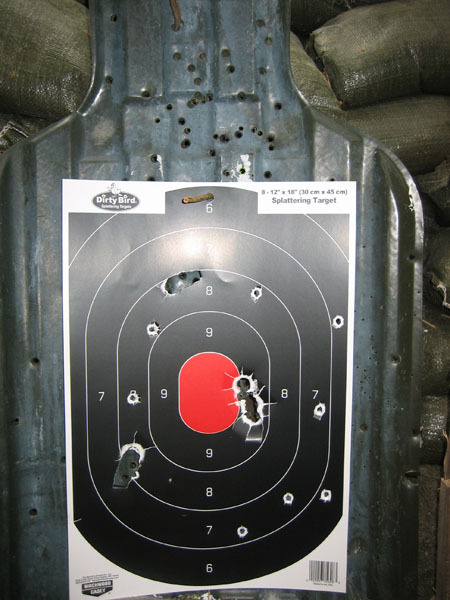 I was using ghost ring sights on the 870 and the results are pictured below. My friend and I were very impressed. We wondered how the Supreme Elite PDX1 were packed so I went on the website and found that the 3 00 ought rounds of buck shot went toward the target first followed by the1 ounce slug. Let me know if you guys have any questions. 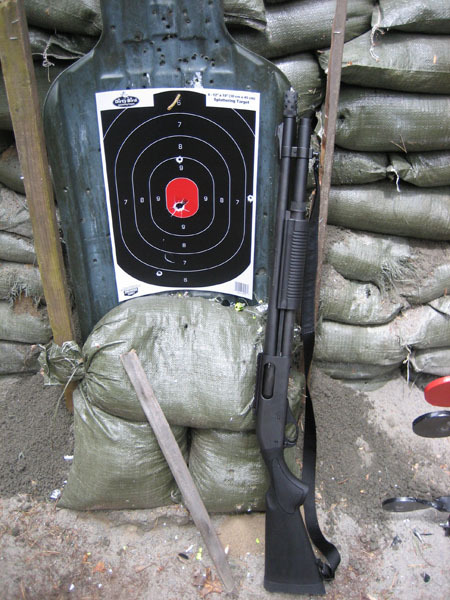 This entry was posted in Miscellaneous and tagged Home Defense Ammo, Home Defense Shotgun, Remington 870, Supreme Elite PDX1 on June 11, 2014 by GunGuy.